Home / Blog / What gets our young, cool, SEO and digital agency staff excited at Embryo? 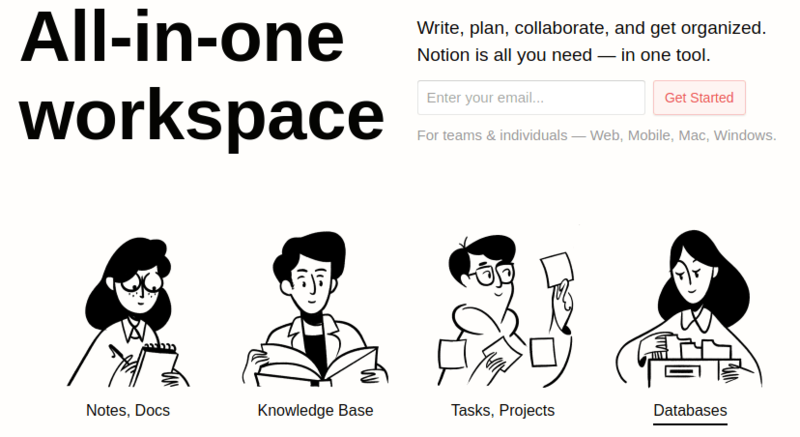 Notion – a software. Seriously. I have noticed something recently, which I am not sure is a good thing, or an alarming thing. Many of the young, supposedly ‘cool’ people at Embryo have started to talk to their friends and family about a piece of software that helps to run our business. They wouldn’t talk to their families or friends about most of the intricacies of their job, so why is this different? In several web design, search engine strategy, PPC, and social media meetings in and around Manchester, with clients, partners of our business, interviewees, and other people from the digital industry, the same thing keeps cropping up – ‘Notion‘. To the uninitiated, Notion is a software that does lots of different things. It seems especially suited to digital marketing agencies, but could be just as easily employed in consultancies, distributors, software developers, property companies, accountants, and even law firms. Any kind of company, really. What does Notion do – and what is it? This is the main problem with Notion – it’s so hard to explain what it does – and also, there is much difficulty in knowing what to exactly call it when discussing it. When explaining it recently to someone with great experience in working in and with agencies, conversation turned into a situation where I can only explain that I came across like a really radical, passionate preacher – exalting the various things it does, BUT without being able to explain – coherently – what it is. I’m aware that the last paragraph didn’t help at all – but this is how explaining Notion seems to go most of the time. How Notion describes themselves on their website really undersells what Notion does for us as a business. They say that it is useful for notes, docs, as a knowledge base, for tasks and projects, and also creating databases. Yes, it does all those things, but it is much more than this explains. The fact that it is ALL of these things in one app is one way to start to explain just how good and important it is. This makes people start to listen to what i am talking about, albeit they seem a little confused, and don’t believe that it can truly do all these things so well. So why are we talking about Notion to everyone? I think as an SEO company that has grown very quickly over the past six months, we couldn’t have done it without Notion, so it’s become part of the team, as stupid as this may sound. There have been many conversations around the topic of “how the heck would we have been able to do this without Notion”, or “how did I work at my previous company without something like Notion helping us?”. In that respect, because people (at the moment) are saying things to us, such as “you have grown well recently, what’s the secret?”, then Notion often becomes a part of that conversation. It is true that Notion is a big part of our success story so far. I simply cannot imagine how we would operate the business without it. We would be in complete disarray. We’d have to go back to having 20+ Google Sheets, loads of Google Docs, various task manager software, new password management, new client documentation area, a new knowledge base app, a new calendar app, time management software, a new CRM (I’m even writing this blog post in Notion because it uses Markdown of which I am a huge fan) – and not only that, none of this would be interconnected – which is a big part of Notion’s success (the fact that it’s all under one app).